Evermore by Sara Holland is the much-awaited sequel to Everless, which I read when it first released last year and really enjoyed. After reading the first book last year and being really drawn by the story, I couldn’t wait to see what would happen in this sequel, especially since this is was the final book in the duology. I was definitely not disappointed! The thing that drew me to Everless, (besides the gorgeous cover), was how unique the story was. I don’t think had ever read anything like it before, and I was instantly hooked as I turned the pages. The ending, of course, was a cliffhanger, and it left me pining away to get my hands on the sequel. Since I have read many books after the first read of Everless, I ended up re-read it before starting Evermore, just to give my brain a little refresher before starting the sequel, and I’m so glad I did. There was so many little details to the story that I had forgotten, and I’m glad I could re-read to remember those again. That being said, I seem to feel a bit different about the sequel. I enjoyed the story very much, and loved that a lot of my lingering questions from the first book were answered, but… this book just seemed to have a slightly different feel to it than the first book did. And I’m not even sure why, to be completely honest. There were a few things that felt a bit rushed, and a few things that were a bit confusing as well. I probably need to re-read the book again to figure out where things went wrong for me. The characters were still great, and I enjoyed getting to know more about Jules and Caro, and some of the secondary characters as well. I love Jules for her strength, and getting to know more of her backstory was really interesting. I do wish she had been a little less indecisive throughout the book, as she seemed to change her mind about things quite a bit throughout the story. 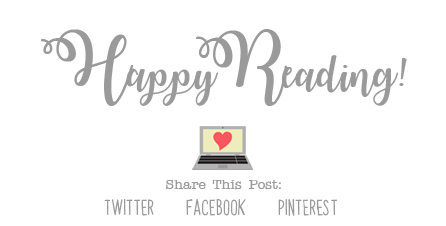 Otherwise, I really enjoyed the storyline, and I definitely need more books with sorcerer’s and alchemist in my life! 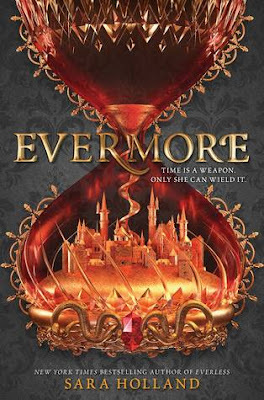 Overall; Evermore was definitely an interesting follow-up to Everless, and having finally read the book, I’m kind of sad to see it end. This definitely could have been a longer series, but I’m happy with the way things wrapped up in the end. I’ll definitely be keeping my eye out for more books by Sara in the future!